The Viaduct notification system provides you with a great way to ensure that you keep everyone in the loop when things happen on your Viaduct apps. 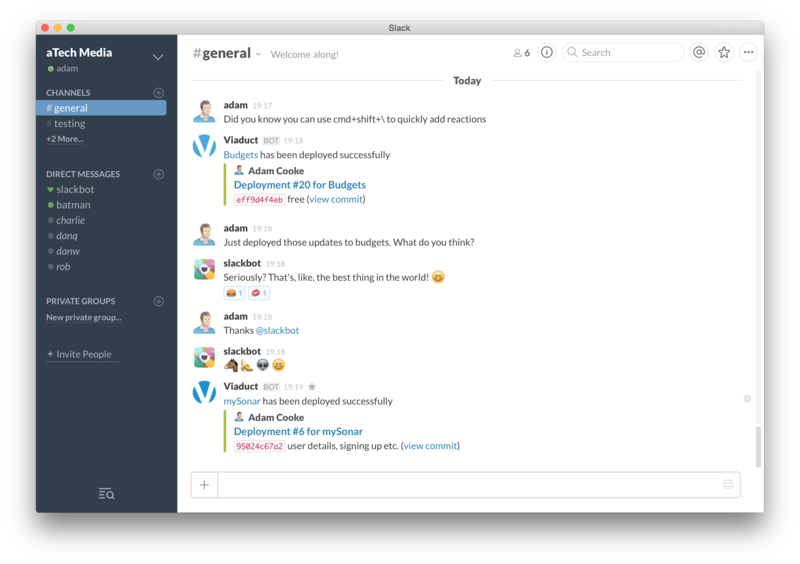 We recently switched over to Slack here at Viaduct HQ and we're loving it. This has prompted us to revisit our integration with Slack and we've just pushed a number of little updates so notifications sent to your channels will look amazing.